Selection of sound and appropriate clinical outcomes is paramount when designing a clinical trial. The ability to draw definitive and meaningful conclusions from a clinical trial is dependent on the outcomes used and the information they provide. 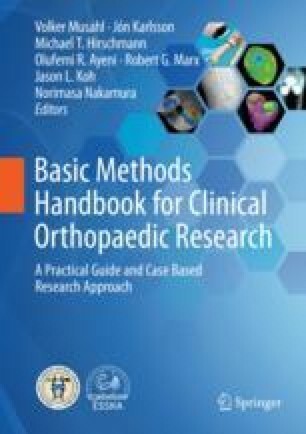 The clinical investigator must consider a number of factors when selecting clinical outcomes including the purpose and domain of the research question, the level of the assessment, whether to use performance-based or patient-reported measures, as well as the psychometric properties that accompany useful outcome measures. To comprehensively assess outcomes, measures used in a clinical trial should allow comparison to the population as a whole, draw definitive conclusions in the specific population or condition of interest, and consist of a combination of both performance-based and patient-reported measures. All outcomes should have appropriate levels of reliability, validity, and responsiveness to ensure that their use has methodological acceptability. Given the importance of proper selection of outcome measures, their inclusion and use in a clinical trial ought to be one of the initial steps taken during the development of the experiment.